Six easy rules of vegetable gardening for dummies are listed below! Learn common mistakes to avoid when planting your first vegetable garden. 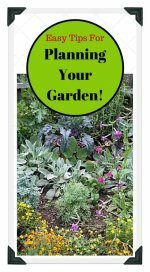 Vegetable gardening offers a wide variety of techniques for every gardener's level of expertise in growing a bountiful harvest including the practicality of raised beds, the attractive symmetry of vegetables all in rows, or simply planting in containers. 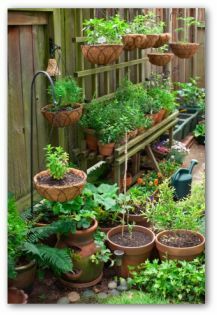 Although, we do not like to point fingers, we have compiled foolproof methods that cater to the beginners crowd who need some gardening self-help to get started! A good friend of mine who shall remain nameless will lead us in the first example of what not to do when you first begin gardening. She decided to try her hand at growing vegetables and started off with tomato plants. When the pretty yellow flowers bloomed she remembered her neighbor said to "dead-head" plants to make more blooms. Yes, my friend plucked off all the tomato blossoms and then wondered why no tomatoes ever grew! Rule #1 in vegetable gardening for dummies--Do not pluck off the flowering buds if you ever expect the fruit to grow! Many beginning gardeners when planting squash experience vigorous growing plants with only beautiful blooms but no fruit. Early in the season, new hybrid varieties sometimes produce a large amount of female flowers but no males to pollinate them. Give Mother Nature time, soon male blooms will appear, and with the bees on stand-by, the vines will begin producing fruit. Rule # 2 in vegetable gardening for dummies--Gardeners must learn patience and how to follow directions on seed packets. The instructions on the seed packets are there for a reason. We all have been guilty of seeming to have a problem with following directions at times. It is a good idea to post the seed packet in your garden so you remember exactly what crop you planted where. Also, check the back for plant requirements if you are unsure. Beginners may sometimes get confused over terms used such as "full sun", which means the plants need at least six full hours of sunlight for proper growth. Rule # 3 in vegetable gardening for dummies--Do not plant plants that require full sun in the shady part of your garden. Partial shade/full sun means something totally different to gardeners living in different regions. It is very important to know your climate zone and plant accordingly. If you live in the south, you will not follow the same gardening schedule as someone who lives in the northern states or out west. 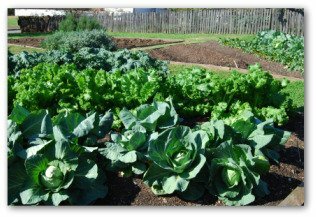 Rule #4 in vegetable gardening for dummies--Each gardener should plant according to their unique soil conditions, growing temperature, and the available space in their particular area. When you first get bitten by the vegetable gardening bug, you may want to rush out to the nearest garden center and load up on all sorts of fancy tools and bags and bags of whatever the salesperson suggests you take off their hands. Word to the wiser, regardless of whatever special insecticides or herbicides that are available on the market, you can deter pests and weeds cheaper and easier using simple organic methods. 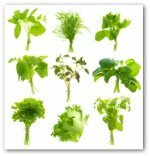 Rule #5 in vegetable gardening for dummies--Do not spend a fortune on unnecessary materials which will negate the whole reason for growing your own vegetables in the first place! It's easy to get carried away looking at all the seed packets and gardening supplies available for purchase. Don't shop until you have a garden plan already made! Stick to your list, just like you do when you want to save money at the grocery store. Remember, there is always next garden season to try some new or additional vegetables in your garden. 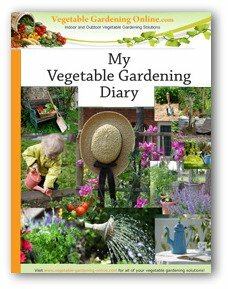 Rule # 6 in vegetable gardening for dummies--Keep a vegetable gardening diary to keep track of what worked, and what needs to be changed for next season. See rule # 5, and download our free vegetable garden diary to use for this purpose! Make a map of your garden, and keep a list of types and specific varieties of vegetables planted so that you have a foundation to build upon next year, and the year after that! Even if you were raised helping out in the family garden or feel as if you know your way around the produce section of the supermarket blindfolded, everyone makes mistakes. The best part about learning how to grow a vegetable garden, is that we get to taste test any mistake we might make! Don't feel bad if you could qualify as a member of the vegetable gardening for beginners class. 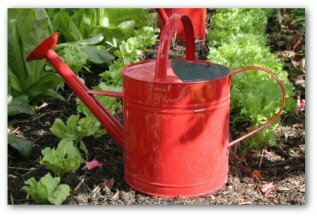 Next season is looming large and before you know it, you will be an experienced gardener!